June 22, 2010 - The Air Line Pilots Association International (ALPA), representing pilots of Air Transat, announced plans to file for conciliation with Canada’s Federal Mediation and Conciliation Service (FMCS) as efforts to negotiate a fair collective agreement with their employer, Air Transat, a division of the parent company, Transat AT, have stalled. Air Transat A.T. Inc. is an airline based in Montreal, Quebec, Canada, operating scheduled and charter flights, serving 90 destinations in 25 countries. The airline is owned and operated by Transat A.T. During the summer season its main destinations are Europe and in the winter season the Caribbean, Mexico, USA and South America. It is the designated carrier between Canada and Cuba. Its main base is Montréal-Pierre Elliott Trudeau International Airport, with hubs at Toronto Pearson International Airport and Vancouver International Airport. 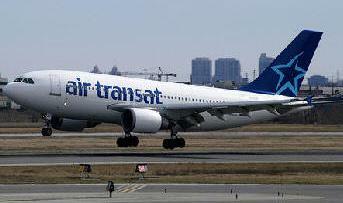 The airline also focuses operations at Calgary International Airport and Québec/Jean Lesage International Airport. The appointment of a conciliator by the Minister of Labour sets in motion a series of deadlines for negotiators on both sides. At the end of the conciliation period, negotiators will have had approximately 60 days to reach an agreement, followed by a 21-day cooling off period. Failing agreement at this point, the option of a strike or lockout becomes available to both ALPA and Air Transat. Founded in 1931, ALPA is the world’s largest pilot union, representing nearly 53,000 pilots at 38 airlines in the United States and Canada, including the pilots of Air Transat.